After a century in stasis the girl En arrives at her destination: A Palace out of legend, a marvel of the old civilization eons gone, still awaiting its first human occupants. Out here, using forgotten technologies, she hopes to bring back a life that shouldn’t have been lost. 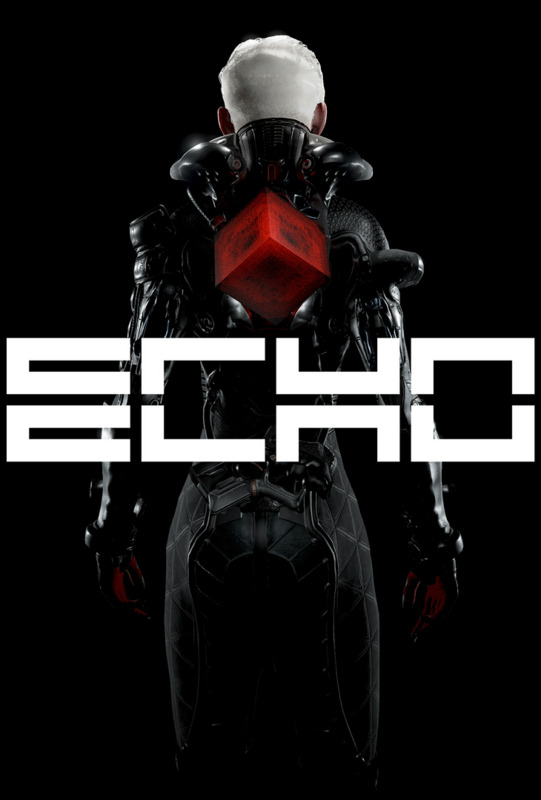 In ECHO everything has consequence: As you try to wield its magical technologies it becomes apparent that the Palace has a will of its own… It studies everything you do, everything you are – to use it against you. The Palace creates Echoes – exact copies of you in every way. They behave like you and only do the things you do. So the way you play the game shapes your enemy. If you run, soon the Echoes will get faster. If you sneak, they will get stealthier. If you shoot, they will start to shoot back. The game constantly reacts to your every choice and input. The Palace "reboots" every few minutes, resulting in a blackout. This blackout-cycle is the rhythm at which the "Echoes" get updated with your latest behavior, learning and unlearning from your actions. During the blackout the palace is blind, giving you the freedom to act without consequence. This is the time to run and gun and do all the things you don’t want the Echoes to learn. The experience is one of being up against your own choices from the last blackout-cycle, giving you a way of shaping the game from cycle to cycle. It is up to you whether you prefer to keep a low profile or if you choose to go head on and deal with the consequences later – one thing is certain you need to keep your wits about you as you face the ultimate enemy: Yourself.